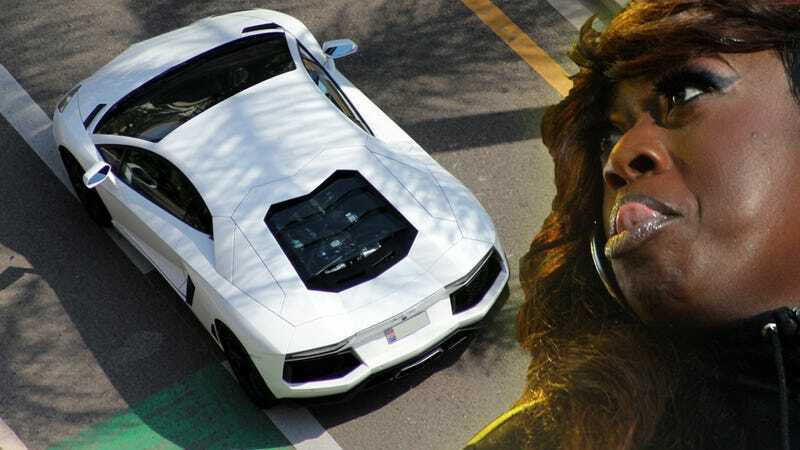 Missy Elliot traded in her 2005 Bentley and $30,000 last year to Fox Valley Motor Cars in Illinois as a down payment on a $376,000 matte white Aventador. She still doesn't have it, so she's filed a lawsuit. The lawsuit contends that the dealership had agreed to ship her Lamborghini to Florida by mid-2012 reports, TMZ. When Missy Elliot contacted the Illinois dealership, they refused to ship the car at the previously agreed price, saying its market value had risen since the deal was struck last year. Missy Elliot is suing for breach of contract, for damages, and for her Lambo.